If there is a prominent death penalty case, chances are it comes out of Texas. 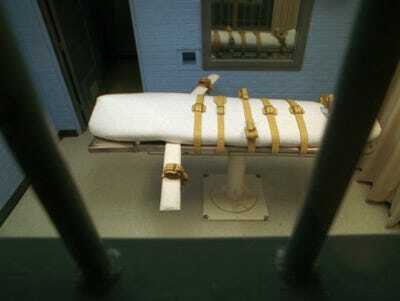 But yesterday brought a ruling against the death penalty.Acting on a motion filed by defence attorneys in a capital murder case, a state court judge in Houston declared the Texas statue that authorised the death penalty unconstitutional. Echoing what other advocates for abolishing the death penalty claim, Judge Kevin Fine said the statute violates defendant’s right to due process, the Tex Parte Blog reported yesterday. Keirnan and his co-counsel, Robert Loper, represented John Edward Green, Jr. “According to the indictment, Green is charged with capital murder for shooting Tina Vo to death in Houston on June 8, 2008, while attempting to rob her. Green has pleaded not guilty to the charge and goes to trial March 31,” Tex Parte said. The chances of this ruling standing are, of course, doubtful. The local prosecutor’s office expressed “disappointment” with the ruling, said it will delay justice for the victim’s families and that the Texas Court of Criminal Appeals has already rejected the argument. Judge Fine, who ran for judge as a Democrat, was elected to the bench in 2008 and began hearing cases in 2009.